Texas Rangers swear to uphold the law to the letter. But Captain Ross Sinclair isn't about to play by the rules to destroy a major human trafficking cartel—especially now that the only chance to break this case just strode into his life with attitude as long as her gorgeous legs. Heiress Emm Rothschild is taking names and raising hell as she searches for her abducted sister and niece. And the evidence this wild-child turns up sets off a lethal chain of events—challenging Ross to keep her reckless determination and seductive daring up close and dangerously personal . . .
Now a blindsiding betrayal has Emm heading straight into harm's way. 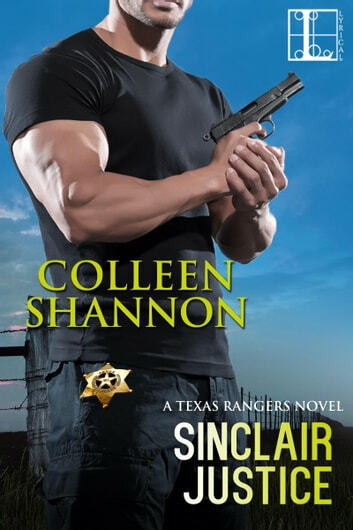 And Ross will have to put his badge and career on the line to get justice—and prove to the woman he loves that a Ranger's word is a forever bond . . .
An awesome romantic suspense. Well written with a great group of characters. Texas Ranger Captain Ross Sinclair is settled into his life in Texas quite nicely thank you very much. While it might be lonely at times, and he would love to have a family of his own, that doesn't seem to be in the cards for him. That is until Emm Rothschild comes flying into his life. While she's in San Antonio under the guise of preservation work for Ross, her real reason is to track her sister and niece who she fears have been kidnapped by a human trafficking cartel. His life will never be the same and he's fine with that!! Full of suspense, mystery, and adventure! I recommend this one. Ross has met his match in Emm! He may be tall, dark and brooding but the look that has stopped grown men in their stride appears to have little effect on the feisty heiress, leaving Ross a growly Alpha on the backfoot. Their verbal sparring only adding to the sparks which are already threatening to become an inferno, leave you in no doubt to the chemistry between them. Difficult subjects which could bring the book to a screeching halt are well written and emotional and the plot is good. The supporting cast are also strong, believable characters and I am hoping to see some of them get their HEA in later books. Sinclair mixes the lightheartedness of life with the hard hitting subject manner of the story proper in a brilliant manner. I could really feel the gravity of it, while not getting bogged down. Realism shines through in all aspects of the novel, while also allowing readers to experience a fun romance. The novel was simultaneously suspenseful and sweet, providing hours of enjoyment. I enjoyed the characters in this novel, right down to the fact that they had some life experience behind them. I also appreciated the fact that there was more to them than just what’s on the surface. Emm isn’t simply an heiress, she’s also a business woman who is searching for her family. Every aspect of her life is important to who she is as a whole. There were times that the author’s writing was a bit wordy, but those times really highlighted the personality of the heroine. It was written the way I pictured her thinking. Ross’ personality really shines through in a manner that I couldn’t help but fall in love with. Sinclair also did a good job of developing her secondary characters so that they were multi-dimensional but didn’t overshadow the main characters. Sinclair has definitely penned an enjoyable novel that had me hooked. This is also one of those rare novels that adds a great deal to the series while also allowing readers to dig into it as a standalone. It’s the perfect combination. Please note that I received a complimentary copy of this work in exchange for an honest review.